Click HERE to take the math survey. There is no name, so answer as honestly as you can. This is not for individuals, but to look at what everyone AS A GROUP says about study skills, and what they like and do not like about math in general. Int 1 - Finish the graphs. If you cannot use the slope and y-intercept, make a table. 1) What are the three basic shapes of all the graphs? 2) What are the identifying parts of those equations? The text for The Giver, for those of you who do not have the textbook at home. It is a PDF file. Int 1: Watch the two videos below. They add to the notes from last time. 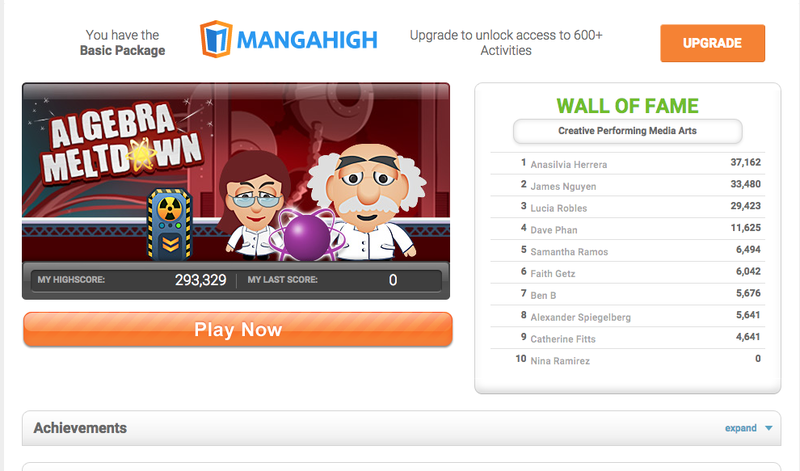 Do the worksheet, if you have extra time, go to mangahigh.com and try to get a high score on the game I included with the link. You have to login first, then come back here to use the link otherwise it says it is blocked. Int 1 - we did a notebook quiz. If you were absent, see me to take the quiz. Study - We are moving beyond addition to multiplication and division, making sure you memorize the answers, not sit and calculate them. Monday: The POW was due. If you did not turn it in, please do so. Better to have a late score than no score at all. Wednesday: Int 1 took a test on equations. Hopefully they will be graded by tomorrow. If you have not turned in a POW, please do so as soon as possible. I am stalling on the grades so I can give everyone a chance, because these grades REALLY affect your overall percents.